Aids in the removal of water from water lines to eliminate dilution of antifreeze application. 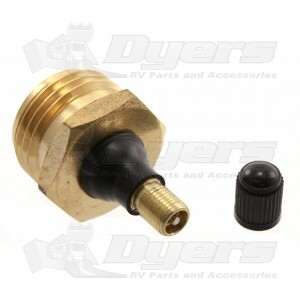 Completely clear your water lines with a RV blow-out plug from Camco. Screw the plug into the city water inlet, open all drains and faucets, attach and activate air pump until all lines are clear.